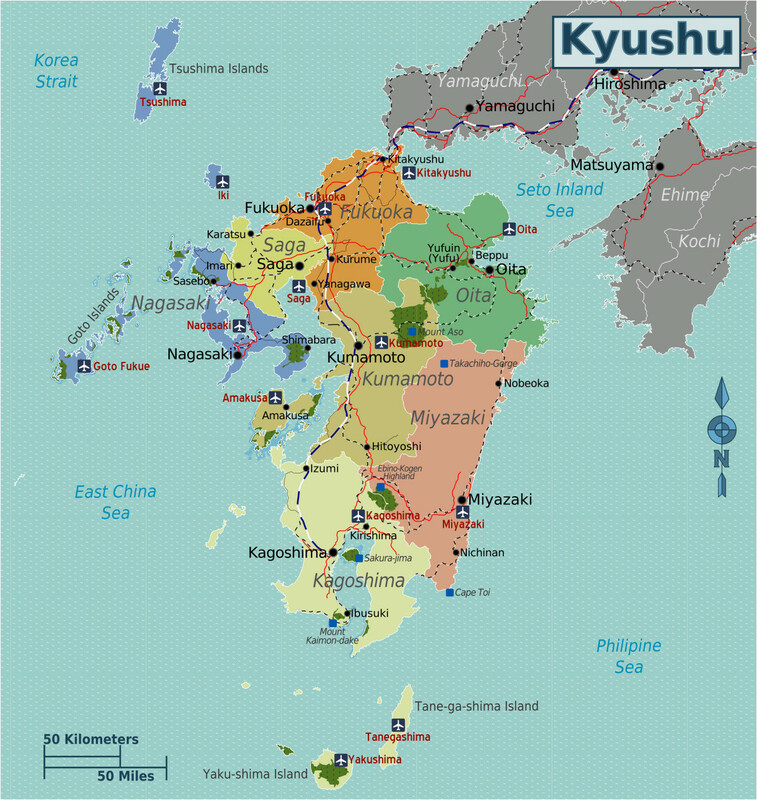 The region of Kyushu is not only one of the eight regions of Japan, but it is also one of the four main islands of the Japanese archipelago, the southernmost one excluding the islands of Okinawa. It is the third-largest and second most inhabited island. Since its coastline is the closest one to much of Asia and the world, in particular China, Kyushu has been since ancient times a landing place for the majority of those who wanted to reach the Japanese archipelago by sea, the only possible way for thousands of years before the invention of the airplane.